As reported by The Star, The Malaysia's Government has approved RM500mil to fund the development of the new Samalaju deepsea port in Bintulu Division. Sarawak Chief Minister Tan Sri Abdul Taib Mahmud said that the money would be used for dredging works on the port and preliminary phase development. 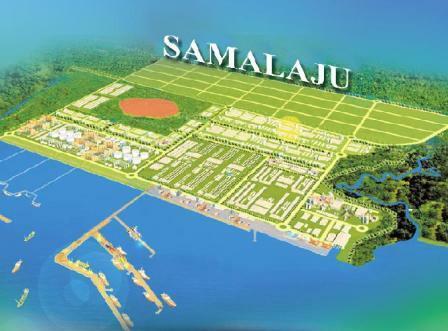 The Sarawak government has tasked Bintulu Port Holdings Bhd (BBHP) to implement the Samalaju port project, a crucial component of the Score development that has been given top priority. The new port on 450ha and about 60km by road from Bintulu town will handle the import of raw materials and the export of finished products for energy-intensive industries in Samalaju. The pioneer batch of Score investors Press Metal Bhd, OM Materials, AML and Tokuyama Corp are in various stages of building their manufacturing facilities in Samalaju. Their planned combined investment exceeds RM9bil. According to BPHB chief executive officer Datuk Mior Ahmad Baiti Mior Lub Ahmad, dredging works on the new port were expected to start mid this year. “The tender for the project's site earthworks package has closed. We hope to start earthworks next month and it will take about four months to complete,” he told StarBizWeek. The earthworks package is estimated to cost RM7mil. Mior Ahmad said tenders would be called next month for the construction of interim berth facilities for barges. BPHB has obtained approval for the port's environmental impact assessment. He said KTA (Sarawak) Sdn Bhd, a leading multi-disciplinary consulting firm, was carrying out a detailed design of the new port. Mior Ahmad said he would meet Taib next week for further discussions on the new port project, including the finance package. PricewaterhouseCoopers has come up with the project's estimated development cost.